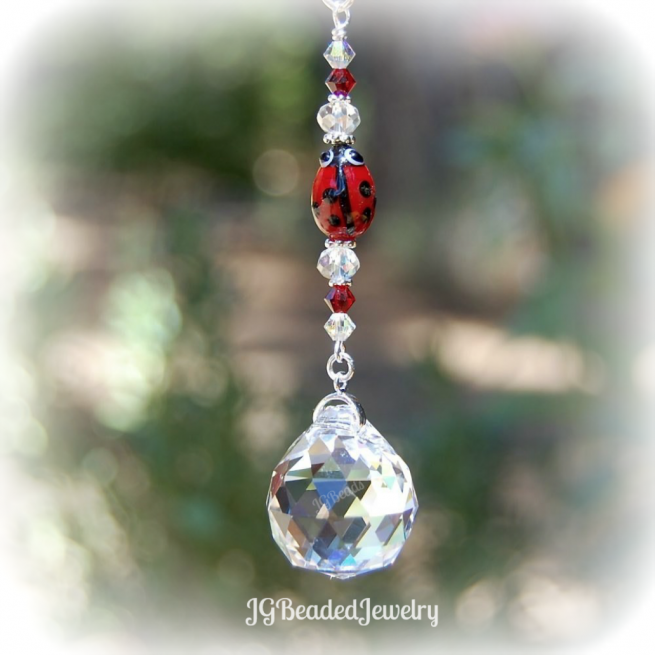 Handcrafted red ladybug crystal prism suncatcher for the rearview or home decor! This ladybug decoration is designed with a unique red ladybug glass bead, iridescent and red Swarovski crystals, faceted iridescent crystals and fancy silver beads. The prism crystal is 20mm and hangs on a silver bail – it is the perfect size for the rear-view mirror. 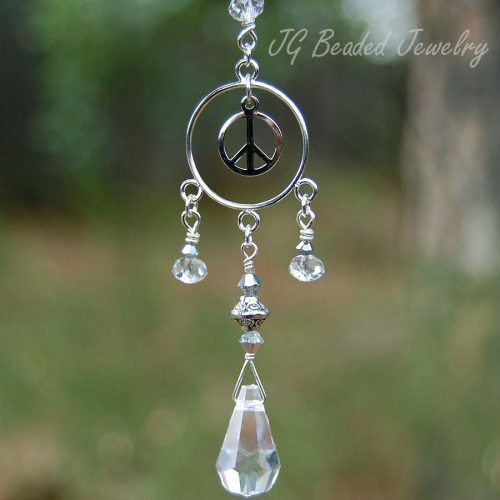 Length is approximately 3 inches before chain is added and comes on your choice of a silver chain with a clasp (for ease of hanging from the rearview mirror) or a 6″ chain with ring for ease of hanging from a hook in a window or wherever you choose!